Does it feel like there is never enough time in the day? Or that you are never prepared for the day? I had been feeling like that recently and it was adding unnecessary stress to my already jam-packed days. So, I started searching for evening routine ideas to get me back on track in 2019 and after changing up my evening routine, my days have been going a lot more smoothly and I am able to focus on my health and wellness. As soon as my kids are tucked into bed, I do a quick run through of each room in my house. I make sure the towels are picked up from bathtime, the counters are cleaned off, and I start the dishwasher. I have noticed that cleaning up at night, makes my mornings so much more enjoyable. After doing a quick clean up of the house, I make sure to start a load of laundry. I used to save all our laundry for one day a week, and with a family of 5, that meant trying to do 5+ loads of laundry in one day. I changed up my routine and now I do one load of laundry a day and my laundry basket it no longer my enemy! The easiest way for me to get this done is to put a load of clothes in the washer at night, and then switch it to the dryer while my coffee is brewing in the morning. Then once the kids are off to school, I fold and put away the clean clothes. I have 3 kids with different things going on, so mornings can easily get chaotic. I try to prepare every aspect possible the night before while the house is quiet. I make lunches and have them ready to grab from the fridge, make sure papers are signed, backpacks are ready, and clothes are laid out. I no longer feel like a hot mess trying to hunt down a permission slip as the school bus pulls up to the house! I also make sure to set my morning up too, I pull out my gym clothes and make sure my headphones are in my bag so I have no excuses not to get a good sweat session in. I am a list maker, I love lists! I work from home, have appointments, each kid has their activities, and so on, so each day can look extremely different. 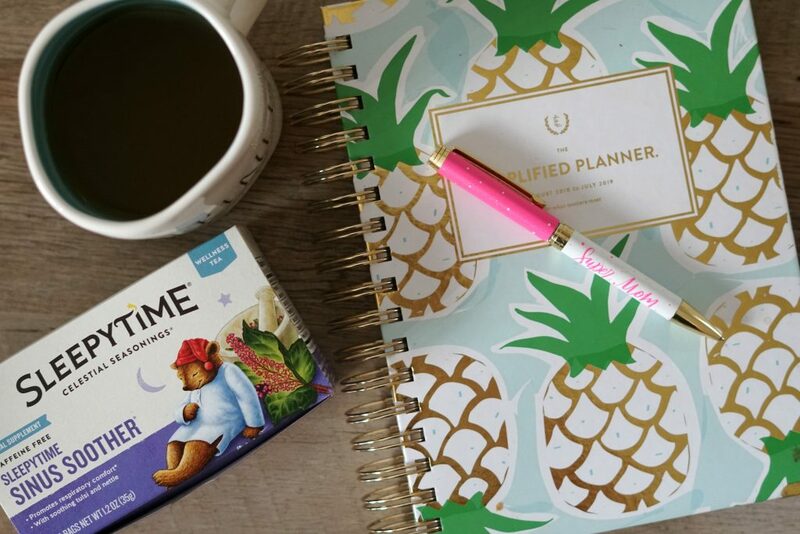 Having a list and a plan for the day is so important to keep me on task, and creating a plan the night before helps me start off my day knowing exactly what I need and want to get done. At the end of the day my back hurts, my shoulders are tight, and my joints are sore. Taking 10 minutes to do some light yoga or stretching helps sooth away the stress my body has felt all day. The most important part of an evening routine for every busy mom is to take some quiet time to just relax. After spending the day doing all the things, you need to take some time to unwind and take care of you. 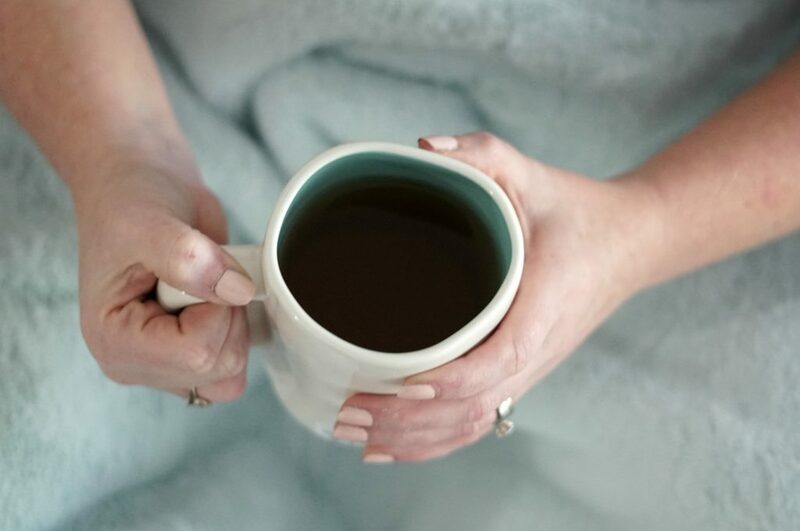 This is the time when I curl up on the couch with a cup of delicious Celestial Wellness Tea and do something for myself. I read a book, paint my nails, or do some journaling. 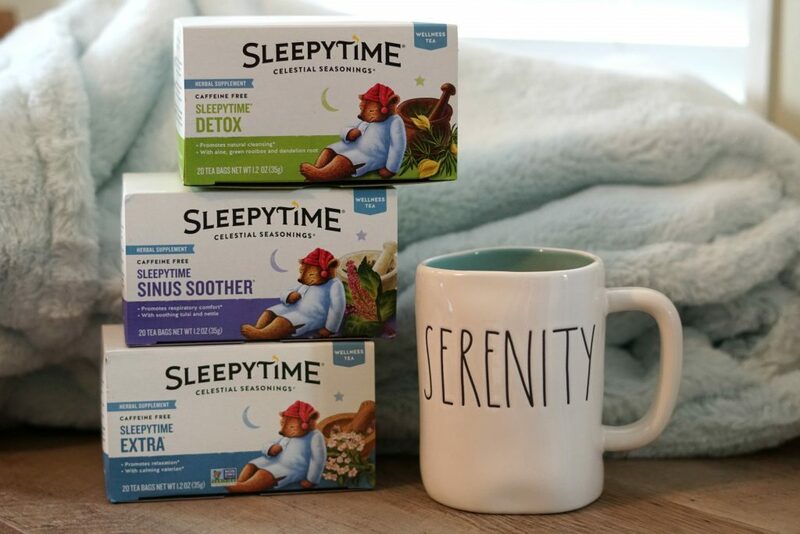 Taking some nightly self-care time goes hand in hand with a yummy cut of Celestial Sleepytime Tea. 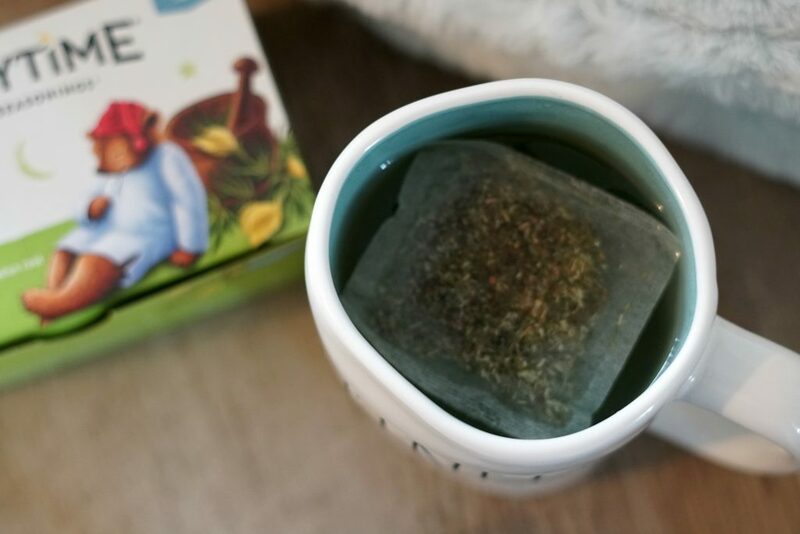 It is a warm cup of caffeine-free that promotes relaxation and fits perfectly into the low-calorie diet I am currently following. 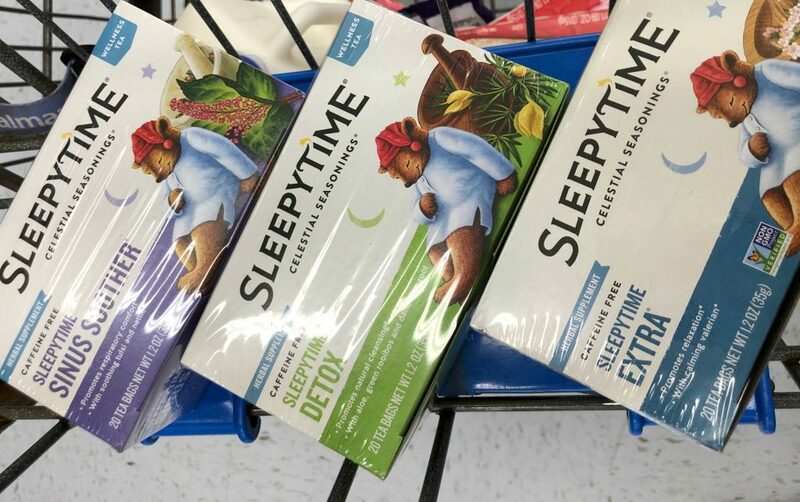 I always choose Celestial Tea because of the wide variety of flavors, and the quality of the tea provided at a much lower price than competitors. Plus Celestial Tea is dedicated to sustainability with stringless tea bags that come in recycled boxes! Completing these 5 things in my evening routine has helped improve my sleep better at night and made my mornings more productive. 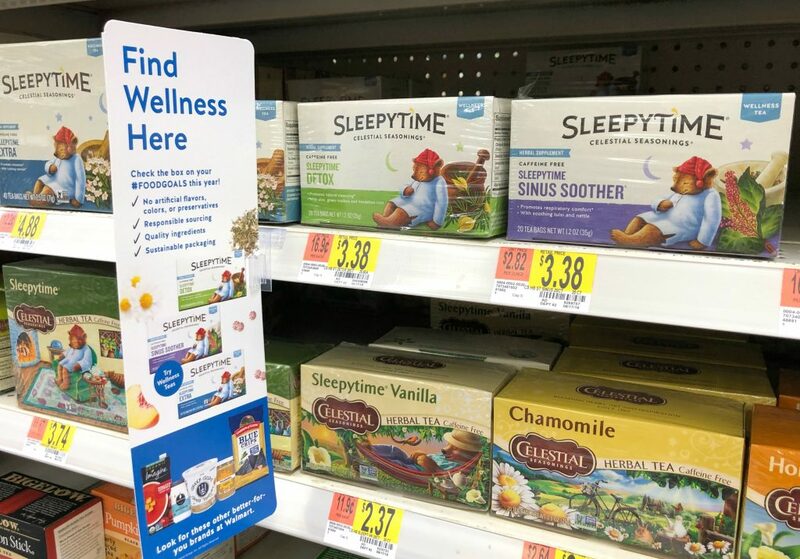 What is your favorite flavor of Celestial Wellness Tea?